At the end of every year, I like to set aside some time to take stock of the alternate reality gaming space. Last year, I satisfied this rather unwholesome urge by making a list of some of the most talked-about alternate reality games of 2009: I even checked it twice. This year, I’ll be focusing on some emerging trends facing the industry, along with a few highlights from successful campaigns that you might have missed. Alternate reality games aren’t dead, but they have certainly evolved over the past year, as terms like “transmedia storytelling” and “gamification” have insinuated their way further into the developmental lexicon. In April, the Producer’s Guild of America added the “transmedia producer” credit to their Code of Credits, swiftly followed by the formation of the rival Transmedia Artists Guild in July, which aims to provide a support structure for creators. Prominent figures in the entertainment industry including Anthony Zuiker, Tim Kring, and Guillermo del Toro have all publicly committed themselves to transmedia production. Meanwhile, Jane McGonigal’s TED Talk on gamification as a means of leveraging our penchant for play for social good has reignited interest in serious games. Alternate reality games still earn their proverbial bread and butter as a promotional tool, and this year has seen a number of stand-out projects. This year, the film industry relied on tried-and-tested formulas to leverage alternate reality games as film promotion. Following up on the immense popularity of the Cloverfield viral, JJ Abrams has released a series of cryptic clues hinting at the story for his newest low-budget project, Super 8. While Cloverfield‘s game centered around Tagruato Corporation’s Slusho beverage, Super 8 has introduced Captain Coop’s Rocket Poppeteers brand popsicles. Similarly, in order to capitalize on the popularity of Wired’s Hunt for Evan Ratliff, Repo Men staged a month-long manhunt for four volunteer runners charged with protecting artificial organs known as “artiforgs.” Ciji Thorton and Usman Akeju were caught at a roller skating rink in Lanham, Maryland, while Will LaFerriere and Alex Gamble survived the full month. Early December marked the end of the Flynn Lives alternate reality game, a multi-year promotional campaign building up to the release of Tron: Legacy. 42 Entertainment handled the campaign’s lengthy run in a manner reminiscent of its award-winning Why So Serious campaign for The Dark Knight by releasing large batches of content every few months. A highlight for the campaign occurred at San Diego’s Comic-Con, where the development team transformed a nearby warehouse into the End of Line club from the film for a special night of festivities. Players were frequently rewarded with collectible coins, posters, pins, t-shirts, stickers, badges, and postcards for interacting with the story: many of these items hid clues that advanced the story. Flynn Lives leveraged its Facebook integration to allow players to showcase the numerous online badges awarded for reaching particular in-game milestones. With a few notable exceptions, television networks shied away from alternate reality games as a promotional or storytelling vehicle in 2010. The year started off on a strong note as UK television network LIVING launched a campaign to promote the fifth season of Supernatural with a geo-locative puzzle hunt. The game featured videos from the angel Castiel (played by Misha Collins) asking players to locate Enochian Sigils scattered across the country by solving a series of clues and challenges. Meanwhile, one of the villains in Anthony Zuiker’s transmedia book series Level 26 found his way to the world of CSI for an episode. In Canada, the Aboriginal People’s Television Network also drew upon location-based gaming with the launch of its Sacred Sites campaign for the television series Animism: The Gods’ Lake. In addition to hiding QR codes on posters at Toronto’s Fan Expo, the game inserted a panel by one of its characters, professor Declan Grey, into the conference proceedings. Zeros 2 Heroes is using the same social platform for its new campaign, Are You Awake, allowing players to take their friends, badges, and points from one game to another. The Dutch company VPRO similarly built an interactive layer over their televised offerings when it transformed its Energy Risk documentary into the Collapsus experience. Showtime pulled out all the stops for its Dexter alternate reality game, which pitted players against the charismatic Infinity Killer through a series of grisly and creative murders. Over the course of the game’s two-month run, daily updates had players doing everything from investigating crime-scene photographs for clues to guiding a remote-control truck through a maze via webcam. In the end, players had to choose to let one of the game’s two main characters die during the game’s streaming finale. The alternate reality game only made passing reference to the show’s characters, but rather served as a preview of the upcoming season. In many respects, the Dexter game hearkened back to older alternate reality games, where the link between game and product were more indirect. Alternate reality gaming mechanics have continued to creep their way into video games in 2010. The staff at Maxis Games threw together a brief alternate reality game introducing their upcoming game Darkspore. And Activision heralded in the arrival of Call of Duty: Black Ops with GKNova6, an alternate reality game that sadly flew under our radar but arranged for personalized deaddrops to its international playerbase. The game provided a chilling look at the dystopic world behind Black Ops’ zombie mode of gameplay. Taking the code-breaking one step further, Activision hid a series of coded messages within the game’s interstitial screens and Numbers Station broadcasts to reveal further insights into the game’s plot and its associated zombie-riddled reality. Oh, and you can play Zork. The biggest surprise of the year, however, came from Valve. The company surreptitiously slipped some surprising content into a free update to their popular physics shooter Portal. If players took radios to specific locations within the game, the radios would broadcast images encoded in the audio as slow-scan television transmissions. This led to a BBS channel hosting GLaDOS designer Cave Johnson’s files running on a new iteration of GLaDOS. Accessing this content unlocked a new ending to Portal that set the stage for the upcoming release of Portal 2. Finally, just in time for the holidays, Playstation Home launched the Xi Museum, offering pervasive access to the virtual side of nDreams’ alternate reality game for the console. And speaking of nDreams, the company teamed up with Reebok to create Secret Life, an alternate reality game starring superstar F1 Racer Lewis Hamilton, who apparently uses his racing career as a cover for his side-project: retrieving stolen artwork as an international man of mystery. The game’s events were reimagined as a film that premiered in London, concluding in a puzzle hunt for Lewis Hamilton’s trophy immediately following the screening. Surprisingly, Reebok wasn’t the only sneaker company to test the waters of innovative gameplay in 2010. In April, Nike transformed London into a game board for their interactive street game, asking players to run between designated phone boxes to claim territory, earn badges, and win prizes. The publishing industry appears to be embracing transmedia books as a method of franchise building. After Scholastic completed its ten-book run of The 39 Clues in August, the publishing company announced an additional six books to complement the initial run as the Cahill family faces off against the Vespers. Anthony Zuiker continued putting his protagonist Steve Dark in dangerous situations with Level 26: Dark Prophecy, and Patrick Carman’s PC Studios released an onslaught of multimedia content. This year marked the release of the third installment in Carman’s Skeleton Creek series of books, where Ryan McCray and Sarah Fincher provide a tag-team narrative consisting of the written word and video. Additionally, Carman launched the first book in his futuristic crime series Trackers. Smith and Tinker attempted to rival Carman’s frantic schedule, introducing both the Lost Souls book / board game and the Nanovor book / video game franchises. Transmedia books are becoming more popular as technology makes it easier to switch from one medium to another, leading to an influx of transmedia novels reimagined as apps. New York Times bestseller Cathy’s Book is now available in virtual form, transferring many of the physical artifacts that enhanced the story into digital form. Cathy’s Book joins The 39 Clues and Level 26 in offering integrated enhancements to book content. Location-based gameplay also made powerful inroads into alternate reality game design as QR codes and deaddrops continued to be a driving force behind real world interactions, but SCVNGR emerged as the real victor for the year. The geo-locative app’s story design capabilities led to its utilization across the genre, supporting games by the New England Patriots, Showtime, and even the Smithsonian. On a more local level, the Smithsonian American Art Museum recently launched Pheon, a monthly puzzle-fueled game of capture the flag using the museum as a stage for the story, Accomplice: The Show expanded to add a London experience, and 5-W!TS productions opened Espionage, a spy adventure, at Patriot Place in Massachusetts. This year, two major forces in the industry turned to alternate reality games for the purpose of promoting social good. Jane McGonigal worked with the World Bank Institute to bring about Urgent Evoke, a social network aiming to encourage entrepreneurship and generate ideas in Africa, held a summit in Washington, DC, to recognize some of the best ideas developed by players during the experiment. Urgent Evoke was admittedly light on gameplay mechanics but maintained a central narrative through a graphic novel depicting a team of activists tackling global challenges in the near-future. On the other end of the spectrum, Heroes showrunner Tim Kring partnered with Nokia to produce Conspiracy for Good, an alternate reality game played out on the streets of London. While Conspiracy for Good was first and foremost an entertainment property, Kring wove charitable ventures into the narrative. The game’s highlight was a series of four live events featuring an opera singer, Bollywood dancers, and assorted acts of espionage using freely distributed Nokia phone kits. Over the course of the game, players helped a variety of organizations including Kidsco, Doctors of the World, and READ International. Conspiracy for Good managed to strike the balance between play and social action perfectly. Alternate reality games implementations for corporate training purposes have also received more publicity this year. Cisco incorporated an alternate reality game into their Global Sales Experience for the second year running with The Hunt, while Dimension Data underwent a similarly transformative sales conference with State of Grace. Tandem Learning entered the fray as well, making their corporate game Dr. Strangelearn’s Learning Laboratory available for public consumption. Which brings us to independent alternate reality games, using the medium to tell a story without an associated product or sponsor. Take, for example, Interdimensional Games, which has provided frequent updates to the game’s slick web interface with a focus on tracking each individual player’s progress throughout the story and providing customized content. Of course, it’s often hard to develop these projects, which is why stories of community support are always so heartening. When a grassroots urban legend about a haunted Legend of Zelda video game cartridge had to go on hiatus because the game was too taxing on the creator’s resources, fans stepped up and contributed to help the story progress in the coming year. Some projects are even seeking assistance prior to launch, as was the case with Socks, Inc. Coming off a well-received debut alternate reality game about a cardboard robot’s search for love, Jim Babb turned to KickStarter to raise funds for a follow-up game about sockpuppets working at a toy factory. The project quickly exceeded its fundraising goals and has taken previews of the game on the conference circuit, appearing at venues including ARGFest, Come Out and Play, and IndieCade. As We Lost Our Gold demonstrated, however, not all puppets are soliciting funds. Indeed, the four pirate puppets that star in the comedic web series treasure hunt misplaced $10,000 somewhere in New York City and scattered clues to the treasure’s location in their videos. While the hands behind the puppets captured the attention of MSNBC, no one has managed to capture the treasure itself. In a year that included muppet pirates interviewing passersby in Times Square, a Bollywood dance performance on the streets of London, a nationwide manhunt, a rewritten video game ending, and a party ripped straight from the movies, the question remains: what’s on the plate for 2011? For the most part, the answer to that question is still enshrouded in mystery. But here are a few hints at what’s to come: a transmedia horror experience at Sundance, the city of Manhattan transformed into a massive game board, and an unforgettable night at the New York Public Library. Want more? You’ll have to come back next year. Do you have a favorite alternate reality game or experience from 2010 I didn’t mention? Feel free to share it with us in the comments. Gah! The Hunt was a Serious Game?! Nooooooo!!!! Also, props to Echo Bazaar for staging a live event the Victoria & Albert Museum as part of a Hide & Seek event this year. I heard that it was a smash! Being American, I couldn't participate in either, but I sorely wish I could've! Thanks a lot for the nice words about my Cloudmakers essay. It was a lot of fun to write and brought back a ton of memories. I’m involved in the Transmedia Artists Guild, and while we haven’t been ready to say much yet, I wanted to clarify something — TAG does not consider itself a rival to the PGA, or as an alternative to it’s Transmedia Producer credit. We see our roles as complementary and hope to work together. We’ll have a lot more to say about this and other TAG matters in the New Year and at SXSW in March. Thanks for the clarification, Jay — looking forward to hearing more about what we’ll be seeing from TAG in the months to come. I’d also like to briefly mention ABC’s experimental project Bluebird AR (in this case that’s the Australian Broadcasting Corp.) The project grappled with the issue of climate change. The game’s website has a remarkably user-friendly archive of the game’s story and execution. I also wanted to add to this list “Die Zeit Wird Knapp”, an awesome German ARG (by vm-people) for a book “Numbers” by Rachel Ward. And “The Colony” aka #StillHere, a transmedial experience by our transmedial guru JC Hutchins for Discovery channel. And also “Alpha 0.7” – a transmedial ARE for German television SWR (dystopian vision of future Germany – see my personal ARG 2010 review). As a summary of the year 2010 I’d say, ARGs and transmedial projects are getting more international, and this is very inspiring tendency. My fave ARG experience from 2010 was during the game “Ministry of Argon”, there was one episode which involved us directing an IG character through the streets of London to the park just off Old Kent Road. Eventually. Our heroine discovered the drop (a USB stick), and started to head home; she reported, however, that she felt she was being watched. We were tipped off that there were agents pursuing her, and so ensued a chase sequence told through facebook, twitter and other sources. I tried to head the agents off by posing as an agent myself and feeding them false information sending them off in the other direction, and attempted to guide the character past her pursuers through the use of google maps. It was the most thrilling ARG experience for me to date and the next game by the PM “Fifteen Days of Darkness” has been just as good. Recently Moved back to Nashville Tennessee and am wondering if there is any ARGs going on here in this city? Not sure about games going on in your area, but a lot of games are not all that location-specific. 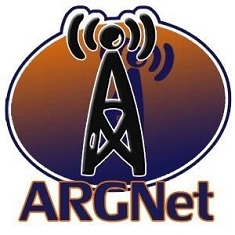 Check out the Now Playing section here at ARGNet (look at the top right area of this site), where the ARGNet staff try to keep tabs on some of the games that are going on now. Good luck, and Happy Playing.